Welcome to the home of education, resources and support for allied health professionals and private practice owners in Australia. Hi, my name is Amy Geach and I am the founder of Maida Learning, and I help allied health professionals to develop their optimal private practice, allowing efficiency, growth, enjoyment and longevity. Do you struggle to find time to do the things you want in your practice? Are you great at the clinical side of things, but lacking in the practice management side? Are you working long hours and not feeling like you are really getting to where you want to? Do you feel overwhelmed by issues relating to money, staff and the requirements to being a practice owner? Maida Learning was developed to help allied health practitioners navigate the private practice world. We provide support, resources and education about how to become business smart when running your allied health business so you can achieve your work and life goals. What are you waiting for? If you want the optimal private practice that allows you to achieve your work and life goals, then become part of our Maida Learning community today. ready to jump into all the good stuff? Download our free planning guide! Not sure where you are heading and what you need help with? 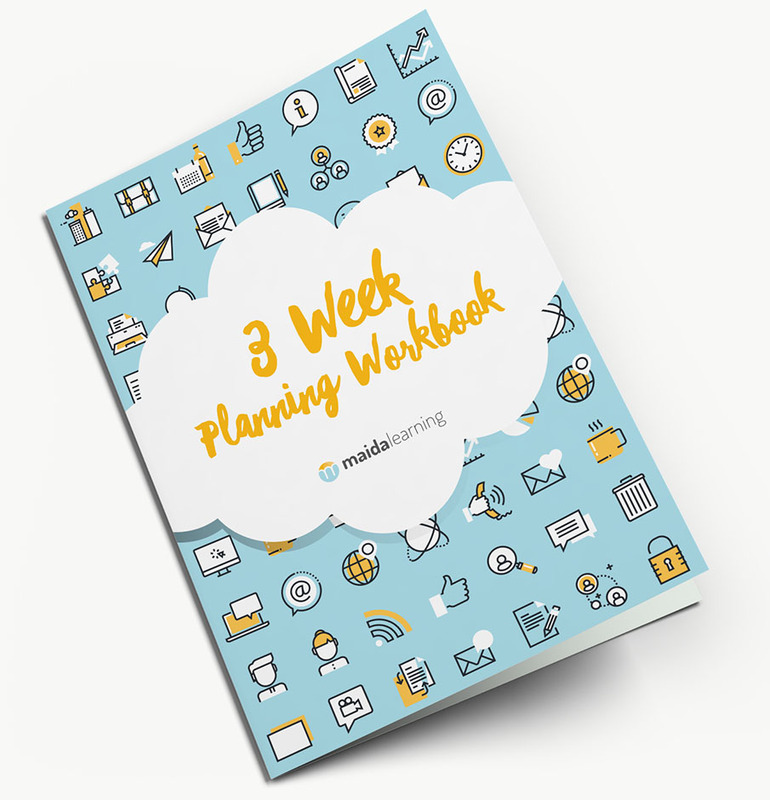 Our 3 Week Planning Workbook can help you reflect on what is working and what you need to focus on moving forward. Download it here for free.